Poland is to send ‘several dozen’ troops to Ukraine to help train the army there in their de facto war with Russia—but a Russian news portal says ‘nothing new’. 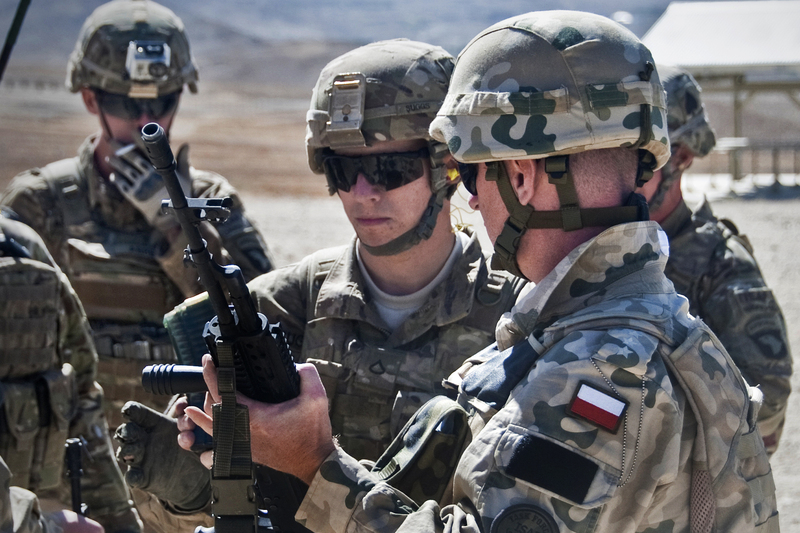 Defence ministry advisor Bogusław Pacek has confirmed that Poland will follow the example of the United Kingdom, which this week said it would send 75 army trainers. He declined to state the exact number, but said it could be up to several dozen. Last week, a joint report from American think tanks said that Poland was in prime position to aid Ukraine with military support. The report also highlighted the UK, along with Canada and the Baltic States, as countries that should be approached. As Inside-Poland.com went to press, the Russian news portal Polska-Kaliningrad.ru said Poland had been supporting training missions in Ukraine for several months. However, the Polish media watchdog is already set to investigate the actions of Russian media in Poland, following comments from MPs and MEPs that the West was in danger of losing the propaganda war with Moscow. For a number of reasons, not a good idea. I’m inclined to agree. This could make an already bad situation even worse. What’s needed is for the UN to send in a sizeable peace-keeping force and try to defuse things rather than ramp them up even further. Something needs to be done to stand up to Russian terrorism. This is just a very small start. The US should be supplying Ukraine with all the weapons it needs. It is the least it can do. Europe has squabbled and dodged on this for too long. We, along with the UK (and sooner or later, France) must and will defend Ukraine. One can only hope that this time, the UK and France don’t run away and leave us to fight on our own. Again. I agree totally. The Europeans have manipulated Amreica for generations for their defense. Now, the Euros are doing their famous two-step. “We wont supply arms. We’ll let the Americans do it for us- as usual. Then we will claim we are the peace lovers and get off the hook.” In short, make it a USA/Russia issue- not a EU/Russian one. I say if the damn Germans don’t care about the Ukraine then why should I? A war means conflict between countries, which is difficult to establish diplomatic relations. A world war (nuclear) means an end to the whole human way of thinking intellectually and with common sense. It means that we humans have gone so far that it’s almost impossible to imagine what future generations will consist of. How our children as adults will live with this? Western Europeans are parasites on America. I was an American solider who served as a tank crewman. I enlisted in the U.S. Army at the time of Berlin Crisis in 1961. I strongly believed the U.S. was right to stand against the Soviet Union during the Cold War and I think the U.S. should now stand firm against Russian aggression in Central and Eastern Europe. Frankly, I would hope that all of our European allies would also see the need to stand firm in the face of Russian aggression. But, if they don’t, I still believe the U.S. should stand firm, just as Poland is now doing. God bless Poland; it is a country which clearly understands the danger of Russian aggression and is taking concrete steps to deal with that danger. Why on Earth would this be made public? To win a media war? To intimidate Putin? Though other EU countries might be embarrassed that this crisis has thoroughly emasculated them, this move just makes Poland more of a legitimate military target. The actions of the UK are equally feeble in terms of the likelihood of changing the situation in a way that will be positive for the Ukrainians. These moves also feed into Putin’s narrative about a hostile NATO surrounding and threatening Russia — all while doing nothing whatsoever to help Ukraine.